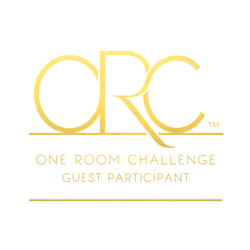 Welcome to the One Room Challenge and Week One of my bedroom makeover! (If you're confused about what on earth "ORC" means, you can check out yesterday's post to catch up). I still can't believe I'm doing this. When I first posted pictures of my bedroom, I wouldn't even promise to take down the blinds. Now I'm signing up for makeover challenges. Somebody better be prayin' for my husband. In any case, can I just pause to first thank Linda, the hostess of this challenge? Every time she has done it I have reeeeally wanted to link up, but guts and opportunity never collided. Well this time I'm going to be brave. I'm truly grateful she's created this challenge and is so generous in opening it up to others. Thank you Linda! For those of you who haven't been following along, let me back up to tell you about my bedroom for a minute. Prepare your eyes and stomachs- it wasn't pretty. You can see the full post I wrote about it here, appropriately entitled "The Stuff of Nightmares." It turns out that it is possible to publicly shame yourself into cleaning your room. As soon as that post went up, I spent an entire weekend cleaning out, purging and organizing, and yes, putting away the vacuums. 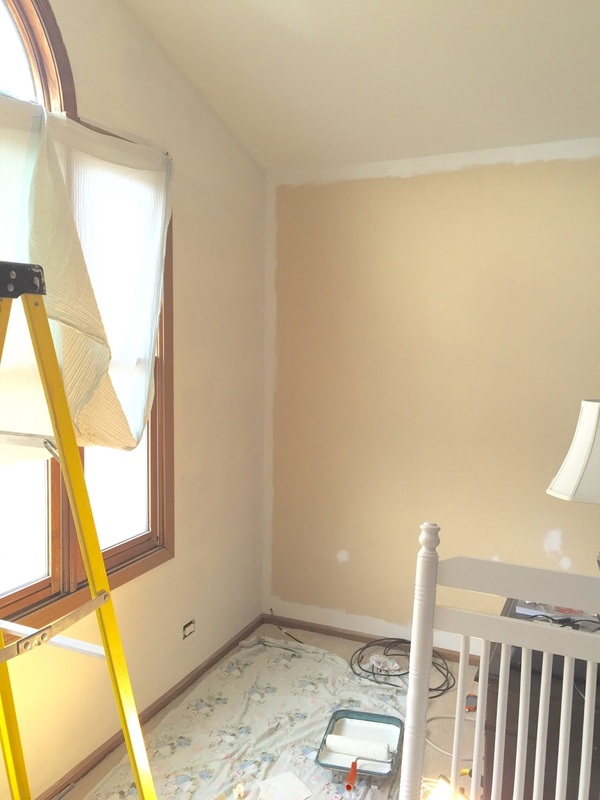 And here's where we're at: We painted. The mattress industry might be a disaster. I can't prove that, but I. had. no. idea. how crazy complicated of a purchase this would be. I also had no idea it was going to cost roughly the same amount a teenager spends on a car. It's not that I'm totally against selling my kidneys for a good night's sleep, but it wasn't my first choice. And I think my friend Stephanie said it perfectly when she said, and I paraphrase, that people in the world are sleeping on dirt floors. We should not have this many choices for mattresses. I had two plans for how to procure a mattress. (And full disclosure, I haven't set foot in an actual mattress store yet. The idea of walking into a vast sea of white rectangles and eager salesmen kinda makes my head want to explode). My first plan was to go to Jubilee Furniture and buy whatever NEW king sized mattress is under $400 and on their floor. My husband, the practical one who realizes we actually need to sleep on this thing, was inclined to do a bit more research than that. So he called them and found out they almost never have new mattresses. Deal breaker. (My germophobe friend Kyla was appalled at how much time Grace and I were willing to spend on a hotel floor at Alt, much to my amusement, but even I draw the line at buying a used mattress). My second plan was to order one from Tuft & Needle. The minute I saw they had only one mattress to sell and that they are in rebellion against the entire mattress industry, I was sold. I don't even care what it feels like. $750 seemed horrible to this novice mattress shopper, but then Sleepy's down the road wanted $4700 for the latest Tempurpedic model, so, maybe $750 isn't so bad after all. And I'm totally happy to support their cute glasses and hipster beards. Now the only problem is I keep wanting to call them Flock & Tinker, thanks to this website. Anyway, I think we have a mattress plan. Next there is the small matter of bedding. I'm in a philosophical quandary over this. I'm definitely tired of buying cheap alternatives to the thing I really want. Do I just decide to live with less (like, a TON less) so that I can have fewer but more expensive things? I honestly wouldn't mind living with less - please, there are days I think I should just toss a lit match behind me as I walk out the door--it's the expensive things part I might not be qualified for. I'm pretty sure those things are just going to get destroyed like everything else. Case in point: Yesterday in jest I was asking the kids, "So...when I get new bedding, approximately how many times do you plan to pee on it?" (They thought this was hilarious and arduously promised "ZERO times, mom!") "And how many times do you think you're going to puke on it?" None, they assured me. Aaaaaaand that very night one of them puked in bed. I'm not making this up! 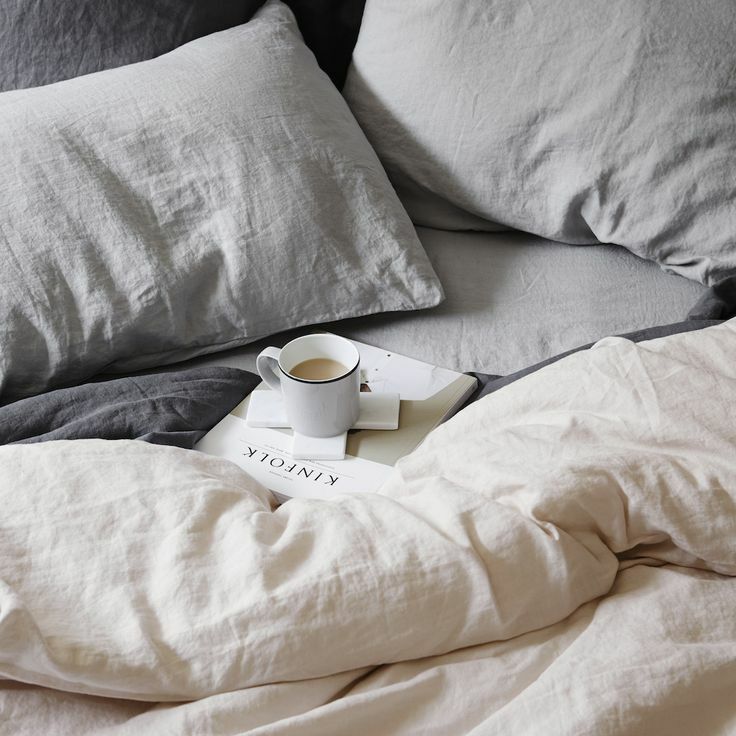 If money and puke were no object, I've decided I would go to In Bed Store and buy the charcoal linen duvet cover, peach sheets, and light grey pillow slips. Why? Because I want to duplicate Kate Arend's house down to the last detail and that is the bedding she has. Seriously, it's all I can do not to go out and buy an English Labrador right now. As I searched around, I found that Kate isn't the only one singing the praise of linen bedding. After reading articles on the subject by Apartment Therapy and Remodelista, I must say the argument for this supposedly warm-in-winter-cool-in-summer-indestructible-for-decades-soft-as-butter stuff is pretty compelling. But the pricetag is super duper hefty. And that brings me back to my original question. Is it worth the money? As I was cleaning up baby puke and putting a fresh set of sheets from Target on his bed, I realized the answer is probably no. The Target sheets are soft and cozy. They are sturdy enough to endure what we throw at them (or throw up on them, as the case may be). They don't come in fancy packaging with cool lettering (what's wrong with me that the MOST tempting part of In Bed linens is the part where I get to 'gram the newly arrived bag?) and they aren't going to last a lifetime, but that's just not us. Our house is casual, and disposable, and our stuff can't be sacred. The whole point of a bigger bed is to jump in it with my kiddos and my dog and snuggle without someone's limbs hanging perilously over the side at all times. I shouldn't do bedding that makes me not want to be in bed. So. I did find that H&M makes a charcoal linen duvet set for 99 bucks. I am tempted. I'm definitely afraid that it's going to feel like sandpaper, and if the caliber of their clothes is any indication, then the quality police would be in for disappointment. But if I remember what I'm going for-- nothing sacred, the look without the worry, for now and not forever-- then it seems like I should at least try it. And the great news is, however it gets pieced together, I'm excited to have a color direction! Here's a moodboard I made for the bedroom. I'm not 100% sure this is how it'll go, but it's where I'm leaning today. (Oh, also, haha, this is all just a *tad* outside my price range...). Hip hip hooray and yeehaw, the burgundy mini blinds have gone to the garbage! Hilariously, a sheet looks 100% better than they did. How did I live with them for so long?? Side note: It's abundantly clear that this wood trim will have to be painted too. Dyson approves of the changes so far. I must admit I'm a little sentimental now about getting rid of this bed that we lovingly chose as new homeowners. But it'll find a new spot in our guest room I'm sure (if we ever have a guest room). 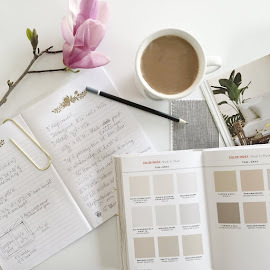 I'll be posting updates on Thursdays (and fair warning: that may be about the only blogging I do during the next six weeks), but as always, advice is welcome (wink wink). Wish me luck! Oh, and you can check out more of the ORC and the other makeovers in progress right here. Thanks again Linda! Summer!! I was totally about to head to your blog this morning to see if you were doing it again!! So exciting!!! And LOL....sleep is overrated anyway right?! Ooh that mood board is dreamy! and you've done all that painting?! Crap I've got a lot of catching up to do! LOL Corinna, lucky timing!!! And trust me, I'll still need a few miracles to pull this together in 6 weeks. Ha! Good luck on yours! I ended up ordering some linen from West Elm and the shams arrived today. I'm excited to get them washed and see how they feel- so far, they aren't super soft but I'm assuming that will change after a wash. I definitely have high hopes so I'll keep you guys posted! GRACE! I ask this all the time but why don't we live near each other again?! I have a feeling we'd have each other's houses whipped into shape in no time. That, or we'd spend all our time talking and drinking coffee and never accomplishing a thing. Meh, I'm good with either. Wow this is going to be fun to follow! 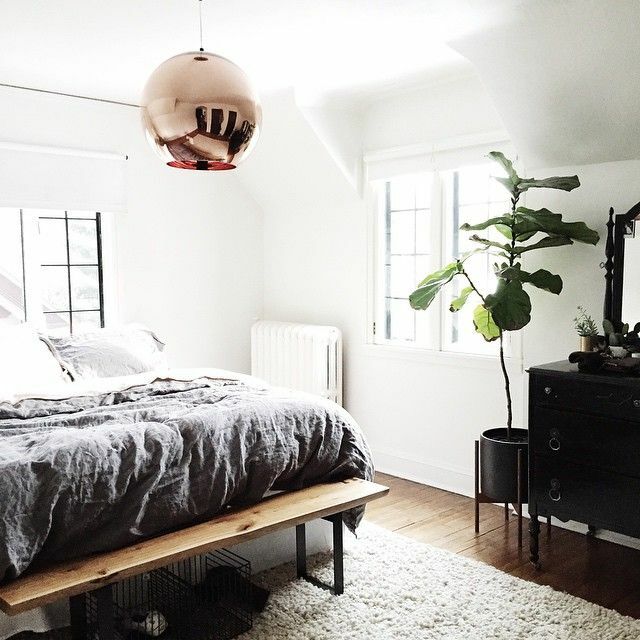 Love the idea you have for the room. Bummer about the bedding being sold out though! Hope you find something you love even more :) Here's to an interesting next few weeks, right? Hi Lori!! Yes, it's always a roller coaster. The bedding is back in stock in June according to H&M customer service. So I decided to just order some from West Elm...and then days later saw linen duvets at Target of all places! Go figure! I love how calm your design plan is! The white has already made the biggest difference!! Thank you Megan! I know, I truly love the white. The room has the. best. light. with that big window, and now the white walls and ceiling just bounce it all over the place. Hopefully I can keep the furniture and accessories in a palette that will continue the airy feeling! Our Master is up next on our list too, so this one will definitely be a fun one to follow along with! LOVE where you're going with things, especially that bedding (Seriously $99!!!!)! Can't wait to see how it all turns out! Oh fun! Something about spring makes me want to do every room, you know?! It was hard to choose but the master was just such a disaster...it reeeeallly needed to happen. Good luck with yours too! Your post is so funny! The irony of asking how many times your children would puke in the bed... "Never, Mom" followed by a child puking in it that night. Ahhh, the life of a mom, right? I hear you about the struggle with paying a lot for something you love versus paying less for something that's more practical for your needs. I try to balance it. With the sheets (and vomiting, peeing children) I think a cheaper Target/H&M brand will be better. 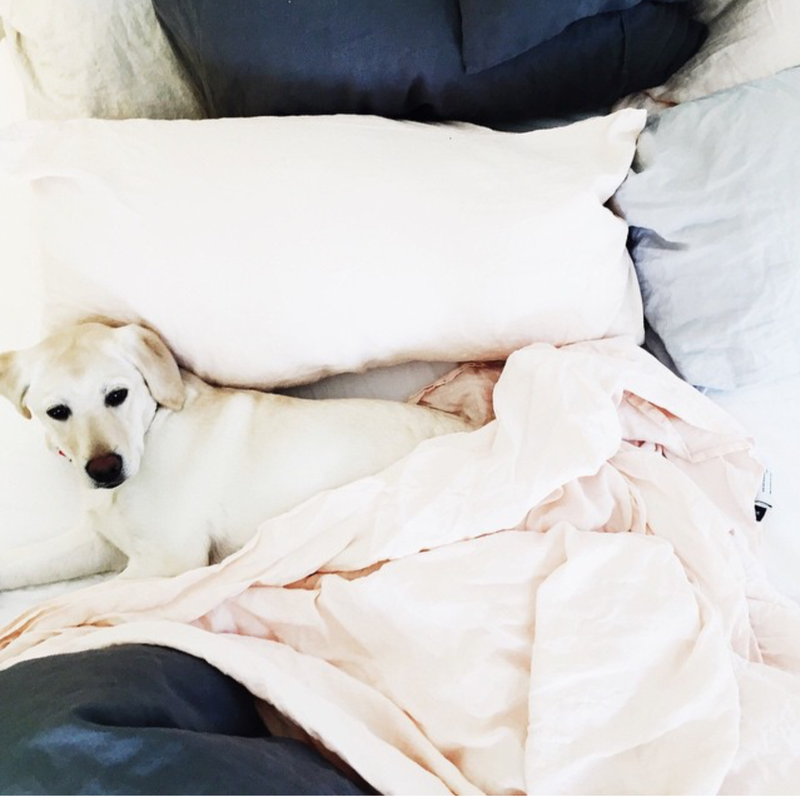 Maybe once the kiddos are out of the house you can splurge on a high-end sheet set (and the Labrador to go with it). Good luck these next few weeks... and thanks for your comments on my blog at www.the-organized-life.com It's so nice to know that others are going through this process with us! 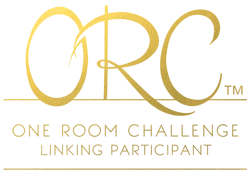 Ooooh, what a fun challenge! I can't wait to see how it develops! 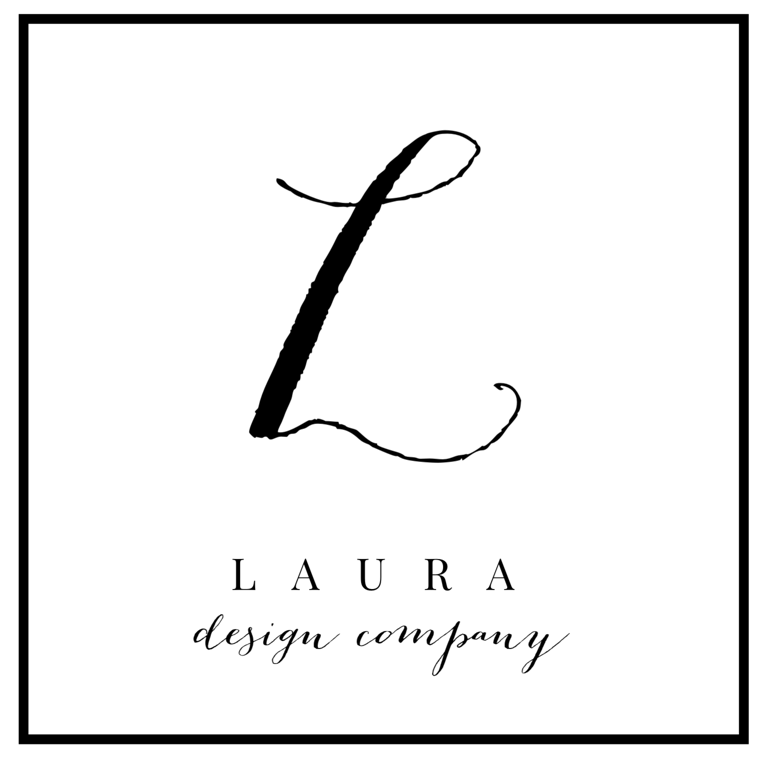 Hi, Laura! Just wanted to stop by and say I love your plan. Adding mattress buying to the deal--ouch. Nothing cuts into the fun budget like a mattress. I had to laugh about your bedding throw-up test. That's how I made lots of decorating decisions when my kids were little! As it stands, people still don't puke in the toilet, and my older daughter is in middle school. Just call my the hope killer. I wouldn't be too put off by the H&M duvet. Linen gets softer after each wash, right? Good luck! BAHAHA you are SO the hope killer right now!! I was sure they'd make it to the toilet by age 10 at least! LOL!!! I am definitely in the linen camp - just love it so much that I got sheets for my kids as well. Mind you - budget is more than a concern but I managed to score linen sheet sets at Restoration Hardware Outlet on clearance plus additional 40% off. I think I got them for the price of Target sheets. Long story short - I would never give up linen bedding - it performs beautifully, but not all linen is equally good. I would love to hear about H&M duvet if you end up buying it. Love the plan! Oh wow- good to know!! I've just started hearing about linen bedding, but yes, everyone raves about it. What a great score for RH bedding- I've had a few things from them and it never disappoints. Unfortunately the H&M was sold out so I went with West Elm...a higher price but perhaps it'll be better quality. And they had pink shams! Woohoo! 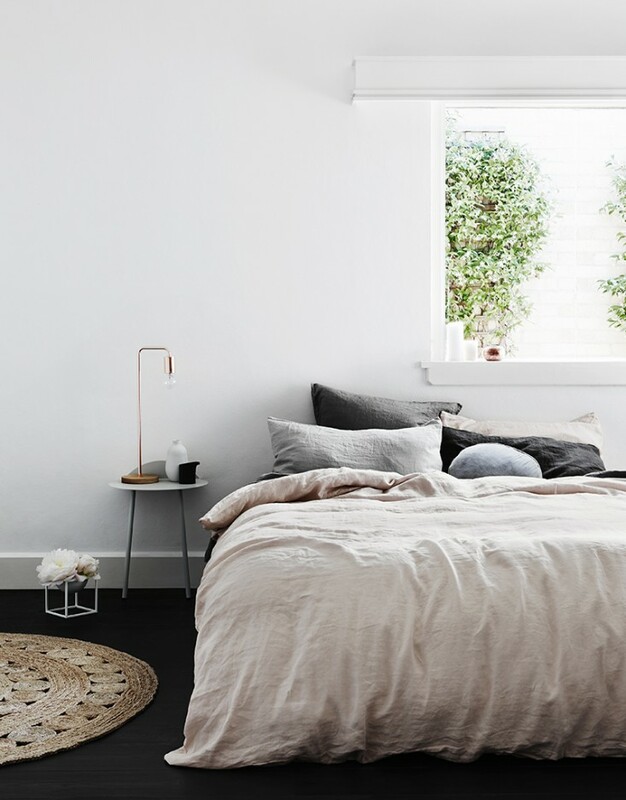 Love the direction your going in with this room. Looking forward to seeing how it all turns out. Your dog seems to be loving the room, and so do I! Can't wait to see the process continue, and hopefully more pictures of your dog as well! Hahaha, Linda! Dyson is a notorious photobomber, so I'm sure he will make many appearances for you. :) He likes the new mattress way too much so far! I'm so glad you jumped in this round! And that you are going affordable on the linens! I lust after the expensive stuff, but our German Shepherd would grow thumbs and call Dog Protective Services if I tried to tell her she couldn't sleep in our bed all day.